Can\'t wait to have it, go here: SuperMemo 2008. This is a Short Summary of mine. Living neart to University of Utah, if any one is interested in contacting me send me an email: gersapa at g m a i l. com. I will be very happy to meet you. I have not posted much since a long time, but today I read some really good advice on how to deal with multiple choice answers. This is not so uncommon as we might think, every one of us have needed this type of questions while studying, how to deal with them has been a total challenge for me, and even more been able to explain in simple words what I did. Thus next time I see this question I will know that “gaudy” is not the designed answer and I will have to think of another one. One might ask “what if I answered not as designed but I could not determine if my alternative answer had been also correct?”. That is another problem. I did not want to add an incorrect answer in the synonym list. Often I could not say for sure if the alternative answer had been correct; so I had to carry out a small investigation using dictionaries; internet, and advice of native speakers to determine that. It took time; but it allowed me to study language at a higher level of consciousness; so I think it was worth the time spent. Please do not just read this extract, read the full article to understand how the author got to this conclusions. I hope this was useful, until next time. I’ve failed supermemo’s rule of daily review over the last two years, for periods lasting from 2 days up to two weeks, but since the residency training started, it had become almost two months. How on earth should I be able to deal with the many repetitions due, and the many many more on the pending queue. First of all, my solution is not based on smart phones. I love smart phone, classic supermemo doesn’t. I bough my self an EeePC, a simply love the time batteries last — more then 9 hours. I’m keeping my self the EeePC with me almost all the time, it surely look weird hanging from my carrying bag all the time. At least is easily to recognize me, every body knows I’m the Dr with the netbook bag. You know what, who cares – I’ve updating my repetitions on any time available, and is working just fine, juggling residency training with my external hypocampus. It works. Many visitor have continue visiting the blog, this is a great reason to continue my efforts to share the little experience I have on this wonderful program, and of course learn a little more from all of you, thanks for the inspiration. If you’ve seen previous post showing off videos on world champion memorizers, you’ve probably been impressed by the sheer speed or extension of their memories. In fact there is almost no difference between the speed they memorize and that of a special type of people called “Savants” – Savant Syndrome is an exceedingly rare condition in which persons with serious mental handicaps, either from developmental disability (mental retardation) or major mental illness (Early Infantile Autism or schizophrenia), have spectacular islands of ability or brilliance which stand in stark, markedly incongruous contrast to the handicap. Most of this savants can’t describe their mental processes and we can only have a glimpse of how their mind work by using special brain imaging techniques. Fortunately, though, Daniel Tammet can do it. 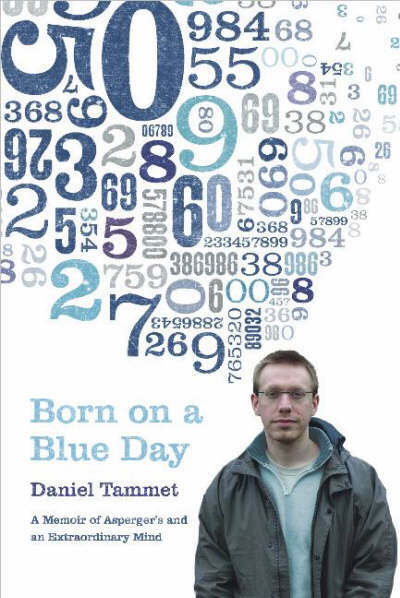 Daniel Tammet is author of two books, Born on a Blue Day and Embracing the Wide Sky, the latter of which came out in January. He is also a linguist and holds the European record for reciting the first 22,514 digits of the mathematical constant pi. On very descriptive interview in Scientific American Mind June 2009 issue, contributing editor Jonah Lehrer chats with Tammet about the way his memory works, why the IQ test is overrated, and a possible explanation for extraordinary feats of creativity. Daniel attributes his phenomenal memory for abstract information to the way he see’s and processes it. From his descriptions you see he uses a very similar mnemonic technique as world champion memorizers, only that he doesn’t need to build a predetermined set of key images, his mind has already done that since birth. However he has to rely on it to be memorize and that’s something very important to me, memory can be trained. I do not crunch numbers (like a computer). Rather I dance with them. I have always thought of abstract information—numbers, for example—in visual, dynamic form. My number shapes are semantically meaningful, which is to say that I am able to visualize their relation to other numbers. Where you might see an endless string of random digits when looking at the decimals of pi, my mind is able to “chunk” groups of these numbers spontaneously into meaningful visual images that constitute their own hierarchy of associations. He mentions also one of the most used techniques by actor to remember scripts, newbie actors do rely on roman room and related mnemonic tools, but experienced actor use this type of techniques to memorize flawlessly several pages long scripts. Actors who have to remember hundreds or even thousands of lines of a script do so by actively analyzing them and imagining the motivations and goals of their characters. Many also imagine having to explain the meaning of their lines to another person. Finally Tammet stresses the importance of memory context dependency, I personally use this context dependency to remember information more easily where I would most probably need this kind of information. For example when I’m learning steps for some procedure I try to use some related location to the procedure it self, since it is where I most probably will have to remember it. You are more likely to remember something if the place or situation in which you are trying to recall the information bears some resemblance— color or smell, for example—to where you originally learned it. ﻿All this ideas remembered me of the three principles of an skilled memory set forth nearly a quarter of a century ago by Chase and Ericsson. Exceptional feats of memory are not due to innate, neurological differences between people. Instead they are due to having sufficient practice and motivation. Skilled memory results in encoding so that information in LTM is used in a way similar to that of STM. ﻿﻿Encoding, retrieval clues and practice is a sure way to improve your memory, or have a less slope on the forgetting curve for units of information, Spaced Repetition systems are the best complement to make the advantage of memorization techniques survive in our brains. I haven’t found out one single mnemonic association that with out repetition stays in my brain longer then a year. And I’m not advocating simple visualization and association in all cases, I rather recommend to form high level associations related to the your field of expertise, if encoding (relating new information to what you already know), retrieval clue (a way to retrieve this associations found during encoding), and practicing to speed up the process, in any manner will enhance our memorization capacity, and trough understanding our comprehension of knowledge and creativity for newer ideas. Today I want to thank life and its endless opportunities that allows us to achieve our goals trough sustained effort. I’m starting my residency training in less then 14 days, so I’ll certainly join the group of less then 6 hour/day sleeping people. Lately, I have been researching on the best way to coupe with sleep deprivation. SuperMemo’s creator, Dr.P.Wosniak is right when he states that in a perfect brain friendly lifestyle we should never resist sleep, but under some circumstance we can’t – we have to fight it, residency training is certainly one of those circumstances, I’ll try to bring your up with details on sleep deprivation combat as a Swiss knife for the under 6 hour/day sleeping people, and also after I start my residency I’ll continue to update the blog, but most certainly it will be less often, I feel like dealing with spaced repetition on a highly demanding schedule and environment will need advice for all of you guys in order to be successful. I also want to thank to all the people on the yahoo supermemo group for the ideas and support this past two years on learning to use SuperMemo. Two years of studying and learning and 30,000+ questions latter, I have rewired my mind, and its feels like a have thicker layer of gray matter, a sense of confidence. I accomplished one of my goals and wanted to share my happiness with you all, now I must go on to the next step. Also many thanks to the all the readers, and people who contacted me by email, Its been a wonderful experience, with out your contributions and inspiration I have no doubts, this blog would have fade in to procrastination or oblivion, it has survive and its not because of the author’s efforts only but of all those who play a part in its conversations. So, again I’m very grateful to you all. References: Think Better: Tips from a Savant. Jonah Lehrer in Scientific American Mind, Vol. 20, Number 2, April/May/June 2009, pg 62-65. If you know about rules of engagement on the army, and you believe they are vital to a successful mission, then you’ll appreciate the following story. It should help you out remember the rules on how to populate your SuperMemo with adequate elements while using incremental reading. In this story, by mingling the very unorthodox features and rules of the main SM elements and trough a very witty description on how to go by when building your collection trough supermemo, a creative author on the SuperMemo Yahoo Group has shared the community this nice story about how to deal with cloze deletions. Your mission is providing SuperMemory world of a new civilization. 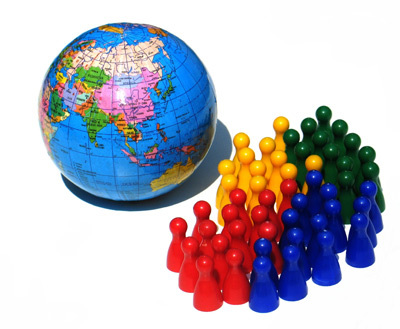 civilization, which may be formed by either Topics (T) or Items (L). a daily basis) every time you decide to *Learn* more about them. ability to produce offspring both by the Alt+X and Alt+Z methods. method have been the source of much confusion during inspections. This explains why the birth control policy is in place. will be of the Topic type, but will resemble and act as an Item. I love to learn and memorize, I don’t like to memorize useless information. But then, what is useless and what is not depends on you like, need or hate. I’ve tried speed card memorization in the past, my personal best is a lousy sub 3min (no I can’t prove it). Like I said before to me, information about learning and neuroscience, as technology is the most important in my life. Now, how good are the best in the world in mnemonics, almost savant like efficient, they that dam good.